Frantic rescue operations are ongoing at the scene of the Lagos building collapse which got a lot of kids trapped with many feared dead. 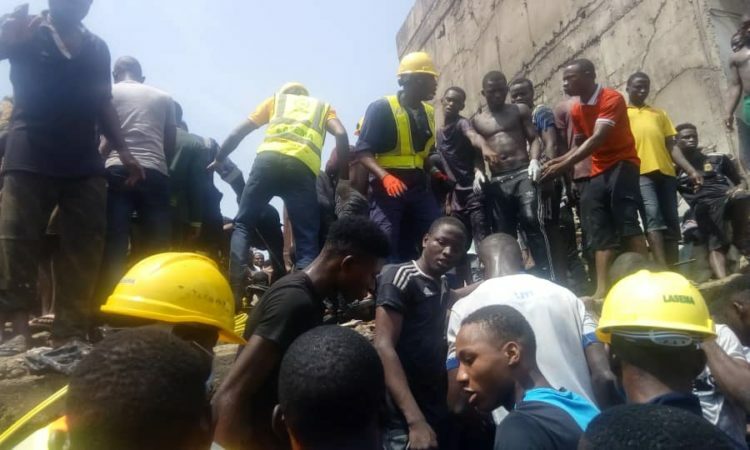 Following the collapse of a three storey building at Ita-faji, Lagos Island, where over 100 pupils were reportedly feared dead, the Lagos State Emergency Management Agency have mobilized officials to the scene. Many people are helping out in the rescue operation and some pupils have bee taken to hospital. 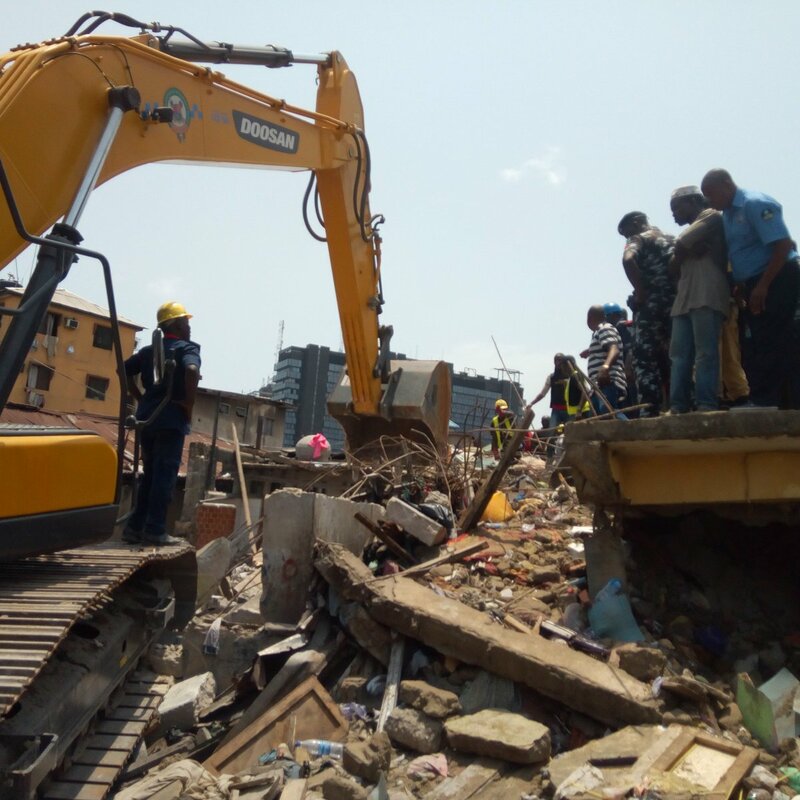 Residents said seven children have been rescued from the wreckage of a building that collapsed in Nigeria’s commercial capital of Lagos on Wednesday. The building housed a school with about 100 pupils, they added. Workers on top of the rubble shovelled debris away as thousands of people swarmed around the rescue site — dozens watching from rooftops and hundreds more packed into the surrounding streets, according to a Reuters reporter. A 3 storey building collapsed at Ita Faji area of Lagos island. The building housed a children’s school of a about 400 pupils,shops and flats of residence. Many people including school children are believed to be trapped inside a building that collapsed on Wednesday. Ibrahim Farinloye, spokesman for the National Emergency Management Agency’s southwest region, said there was no immediate information on any casualties. “It is believed that many people including children are currently trapped in the building,” he said. “The third floor of the building is housing a private school in the area,” said Farinloye, adding that the three-storey building came down at around 10 a.m. local time. On social media, pictures and videos of distressed parents reportedly rushing to the school were shared.